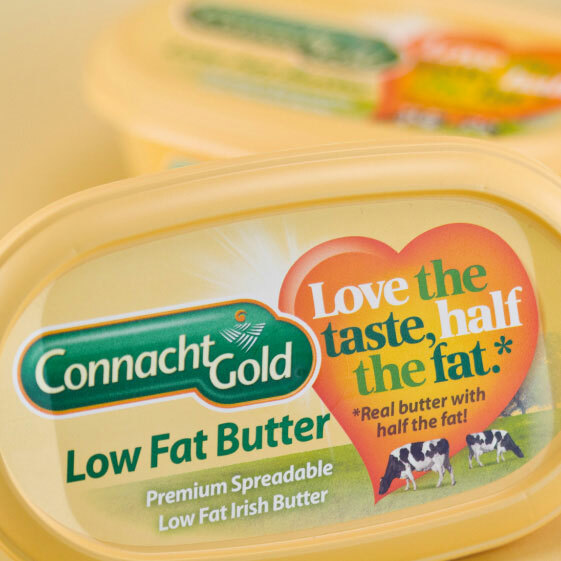 ‘Love the Taste, half the fat’ is the current Connacht Gold Low Fat Butter campaign. 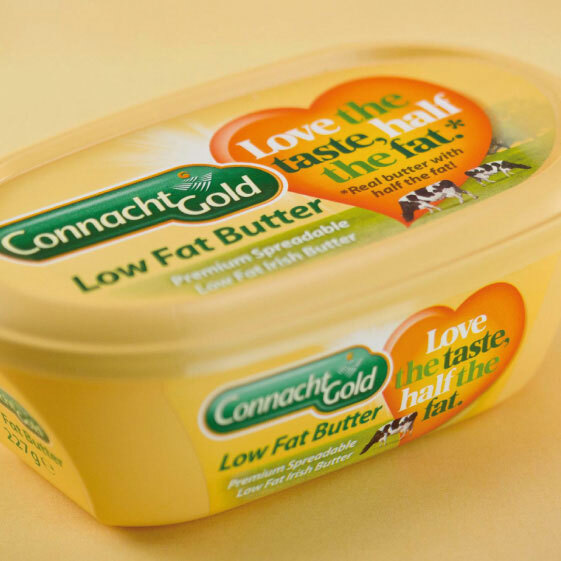 Research conducted by Connacht Gold indicated a poor awareness of both the low fat content and the superior taste of this product. A decision was made to tackle this problem through an on-pack promotional campaign. The solution we developed was to create a warm, engaging and direct message to communicate these qualities as directly as possible to consumers. 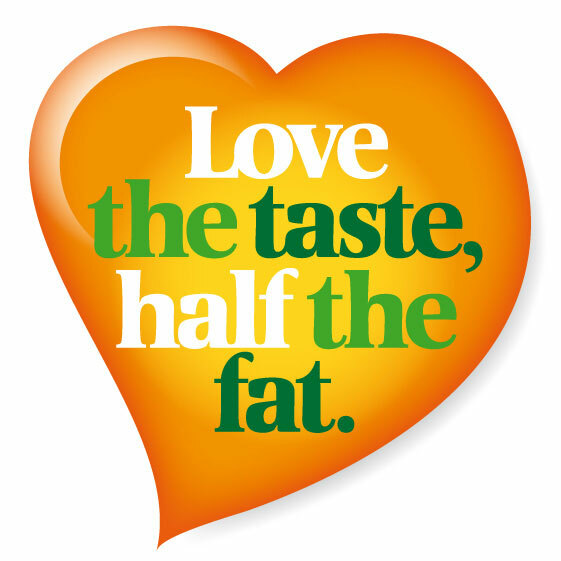 The heart motif was developed with an eye for bright, friendly colours and the typography chosen for legibility and authority. A range of POS, press and other supporting materials was also developed. 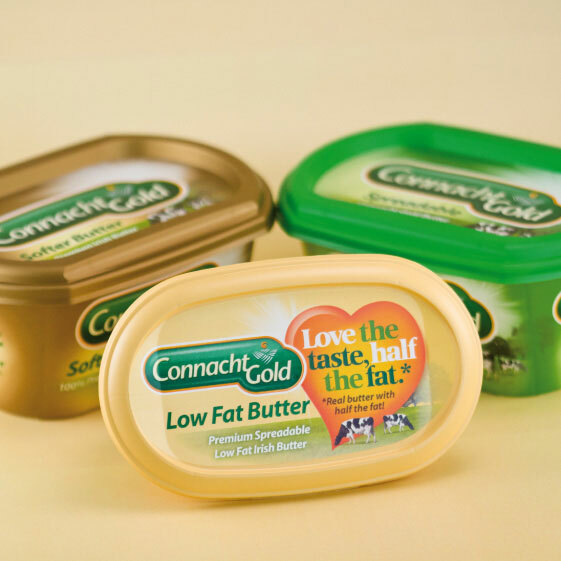 The campaign will be supported by a TV ad soon – a first for Connacht Gold!